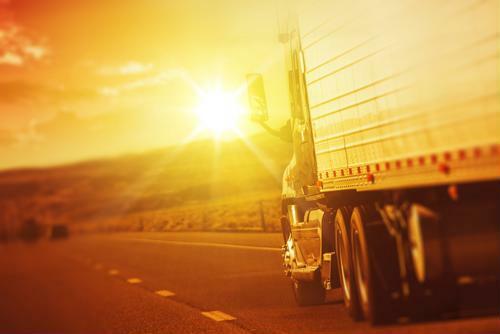 Spring is a time when many animals are just starting to become more active after a long winter, and that may pose a real problem for truckers. Animal strikes increase at this time of year, and it's vital to be aware of how to avoid them. While there isn't a 1-to-1 correlation between what warning signs are on the roadways and actual locations of animal strikes, they're still a great indicator for truckers to become a little more cautious, according to Fleet Clean. If an area is known to locals as a place where there are more deer, moose or bear crossings, truckers would be wise to heed the warnings and be on the lookout. Not every creature keeps the same schedule, so it helps to be aware of when certain animals are more likely to be active. For instance, deer are most often active around dawn and dusk. And while spring is a time when deer strikes are quite common - because that's when young deer are starting to venture off on their own - they're actually most likely to happen in the fall during mating season. Other animals, meanwhile, may be more likely to venture into roadways at midday or overnight, and you'll need to be aware of specific behaviors based on the signs you see posted along the highways and byways you travel. If you don't have to worry about oncoming traffic, you should always drive with your high beams on so you have more time to spot an animal - or any obstacle - in the roadway, according to AAA. Often, that alone will keep animals out of the road, but if you have to lean on the horn to scare various critters out of the way, a little more lead time to also apply the brakes really helps. However, if you think you won't be able to avoid the collision with an animal that won't get out of the road, it's safer to stay in your own lane and hit the brakes as hard as you can. Swerving to avoid an animal might only make matters worse. Of course, your risk of a significant animal strike is greater in some states than others, according to State Farm. West Virginia is the state where deer most often cause accidents, at a rate of about 1 in every 46 accidents. But in other states, like Arizona and California, they account for fewer than 1 in 1,000. For many animals that are common causes of car accidents, herds are a big risk. If you see one deer cross the road safely, one or more might not be too far behind. As with many other issues of road safety, common sense is often the best way to approach the risk of an animal strike. As long as you're paying careful attention to signs and conditions, you'll be in good shape to avoid such an accident.